Whether you use a smart device like an iPhone or an Android, or a more compact cell phone, chances are that you have a camera in your pocket right now. Not very long ago, the optical quality of these cameras was very poor, especially in low light situations. Yet today, thanks to continued technological developments, a growing number of users are beginning to realize the power of the latest cell phone cameras. In fact, the International Telecommunications Union estimates that "4.6 billion mobile phones are in use at the moment." If this is any indication of what the future holds, cell phone cameras may very well replace smaller point-and-shoot cameras altogether. Rather than carrying a phone, a camera, and an MP3 player, many consumers look for one electronic device that does it all. Some shoppers simply search for "best camera phone" and make their purchase solely on the quality of the camera. Manufacturers are taking notice, and they're adding more capable cameras to their phones. For example, the Nokia PureView 808 features a staggering 41 megapixels of resolution along with full HD 1080p video recording and audio recording at CD quality. The affordable Sony Xperia has an 8.1 megapixel camera with autofocus, 16x digital zoom, LED flash, and a maximum aperture of f/2.65. One of the best parts about camera phones is the ability to share the image with others right away. You can post your photos to a variety of social media outlets such as Facebook, Twitter, and more. You can even post videos to YouTube directly from your phone. This type of content sharing has become incredibly popular. Facebook alone receives more than 2 billion photo uploads each month! On Twitter, many photographers share their "Twitpics" with their followers. These can range from "look where I am" to beautiful fine art imagery. If another user appreciates an image, it's often retweeted, and shared with even more people. It's possible to upload a photo at 10:15, and have several hundred or more views by 10:30. Camera phones don't have the speed or advanced functionality of the more full-featured DSLRs. Yet, the benefit of having a small, quiet camera in your pocket at all times outweighs any of its technical limitations. When a professional photographer arrives on the scene with two DSLRs, telephoto lenses, and flash units, everyone immediately notices. In certain situations, this can hinder the pro from doing his or her job, as people are more guarded and aware of the cameras. With small cell phones, however, a photographer can get the needed shot and leave the scene virtually undetected. In addition, there are some places where professional-looking cameras are absolutely prohibited. Thankfully, camera phones are more discreet, and don't generally draw attention to the user. For iPhone and Droid users, there are an overwhelming number of photo-related applications (just called "apps") to help edit, enhance, and share pictures. In fact, Adobe Photoshop has an inexpensive app called Photoshop Touch with many impressive features including the ability to adjust curves. While in-phone editing can be convenient and fun, some users prefer to edit the "old fashioned" way, on their computers. Cell phone images are typically JPEGS, and can be downloaded into a full version of Adobe Photoshop, or other editing software. This opens up many possibilities like layer masking, unsharp mask, noise reduction, and more. Here are two popular apps you'll want to look into for serious cell phone photography. 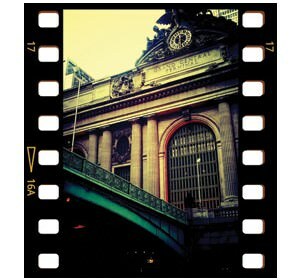 Hipstamatic soon became a household name infiltrating its way into the fabric of our society. Not a day went by where our Facebook wall wasn't filled with photos that looked like they were taken 50 years ago. Still, despite being overused at the peak of its popularity, there was an authenticity to the images that ordinary phone snaps were lacking. What some may have initially written off as a fad appeared to have staying power. This shift was first evident after New York Times photographer Damon Winter used the app to document war in Afghanistan. Winter is a Pulitzer Prize winning photographer whose work we've long admired for its creativity and technical brilliance. Yet, when his photo story "A Grunt's Life" was awarded third place in the Pictures of the Year International contest, a flood of naysayers took to the Internet to bash the ethics of his camera selection. In his thoughtful response, Winter said, "I will always stand behind these photographs and am confident in my decision that this was the right tool to tell this particular story." In studying the series of twelve photos, it's difficult to envision them any other way. The quiet, introspective moments he captured coupled with vintage aesthetics make for a telling look at life behind enemy lines. The Instagram app, acquired by Facebook in 2012 boasts over 40 million users, and that number is growing fast, especially after adding support for Android devices. These two apps have paved the way for a landslide of similar options, many of which are free to download. Other photo-editing apps you might want to investigate include PhotoForge2, Camera+, and Filterstorm. And don't forget to download the free app from The New York Institute of Photography. 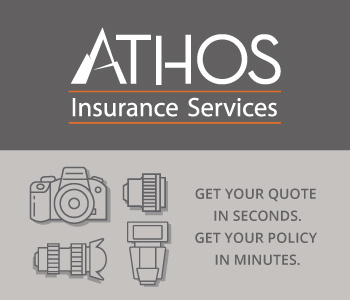 You can access ongoing photography and business tips and videos. Tune in to informative tweets and view photos from NYIP students and graduates. To share your favorite Flickr images in the "Your Photos" tab, simply tag them "NYIP." For Android, go to Google Play at https://play.google.com/store and type "NYIP" in the Search box. For iPhone, go tohttp://itunes.apple.com/us/app/nyip/id415773676?mt=8.